Goku and Jiren finally had their clash that had been teased all summer and leaked online in late August. For the first time in DBS, Goku unleashed the Spirit Bomb. We got a tease of how powerful Jiren was when he one-shotted Kale out of her Legendary Super Saiyan form and knocked her out. Then we found out that was just a fraction of his full power. Beerus, clearly irritated by Goku’s new transformation called it “Ultra Instinct”. Clearly it was a form no mortal was ever meant to attain, let alone dream of reaching. Then again, there were the rumors among the other Gods of Destruction and Kais that there was mortal somewhere so powerful their universe’s God of Destruction could not defeat him. His Universe’s GoD prettymuch confirms it as he watched Jiren fight Goku. Apparently both Jiren and Toppa had been candidates to succeed him as Universe 11’s GoD but they both declined. Anyway, Goku had the same problem he had when he became Super Saiyan God vs. Beerus for the first time: Since it was new, he couldn’t maintain it for too long and lost. Universe 7’s wildcard Frieza steps in and shares some of his energy with Goku. It was an obvious reference to that time Goku shared some of his Energy with Frieza on Namek after their fight. While Goku took time to recover, Hit stepped in to challenge Jiren. Despite using Time Skip, Jiren had no problem landing blows. Hit resorted to using his trump card: Trapping Jiren in a time warp. The plan was to keep him contained until time ran out but Jiren was just too powerful. How do you defeat a warrior whose powerful transcends time? Good question. After eliminating Hit and shooting a look in Goku’s direction, Jiren plainly states “There is no one left for me to fight.” and behins to meditate. A fighter from another universe tries to ambush him but is repelled by the energy field surrounding him. 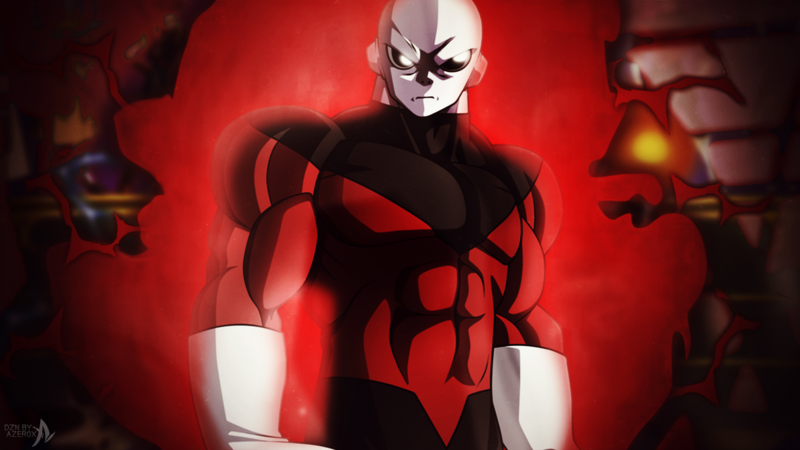 Jiren will only fight someone capable of piercing his energy field. 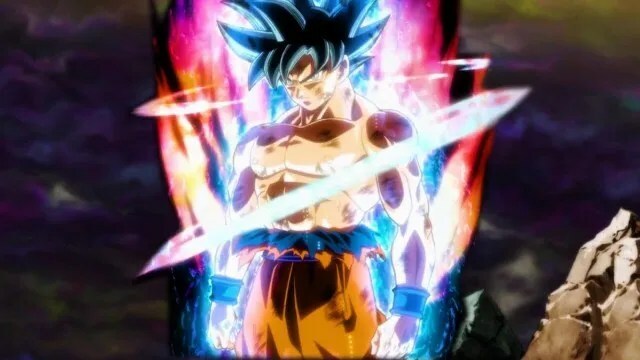 With Hit dropped out that leaves Goku but only if he can attain his Ultra Instinct form again. Earlier, Frieza fooled everyone when it appeared he and Frost had teamed up. It turns out Frieza had been biding his time and waiting for the opportunity to turn on him, eliminating his Universe 6 counterpart. Frieza has been keeping to himself for most of the tournament to conserve his energy. As he said to Goku, he wants nothing to do with Jiren and is content to bide his time for now. Master Roshi and Tien were both eliminated, bringing the number of Universe 7 fighters down to 7. Cabba is saved from ring-out by Vegeta, who reminds him of the promise they made when they fought each other before. Cabba goes Super Saiyan 2 for the first time to defeat an opponent but is then eliminated by Frieza. Before being eliminated, Cabba notes Caulifla and Kale might be Universe 6’s secret weapons. Could it be because they’re more powerful than him or another reason? Speaking of the female Saiyans of Universe 6. The last episode ended with Caulifla challenging Goku to a fight. Their last exchange was interrupted when Kale went Broly on them. According to the trailer for the next episode, he fights them both at the same time and goes Super Saiyan 3. Should be interesting at the very least! …Again, you can watch Dragon Ball Super on Crunchyroll. I will provide another update after the Tournament of Power Saga is done. Two universes have already been eliminated and let’s be honest, Universe 7 obviously survives. The question is how will this tournament end? Who else will survive? Also: Vegeta and Cabba both promised to bring back the other’s universe if one of them survives with the Super Dragon Balls. Should be real interesting to see how this tournament ends!